Spend an enjoyable evening on the Seine in Paris. You will go directly to the boarding area of PARISCityVISION La Marina, located at the foot of the Musée d'Orsay, a few steps from the Louvre and the Place de la Concorde. You will be welcomed by our team, who will take you to your reserved private table and be fully available during the cruise. You will enjoy the warm setting of the boat-restaurant during your dinner on the Seine. While viewing Paris, the beautiful bridges which cross the Seine, the unforgettable sights of the capital that are located along the banks, you will discover true gastronomic French cuisine. 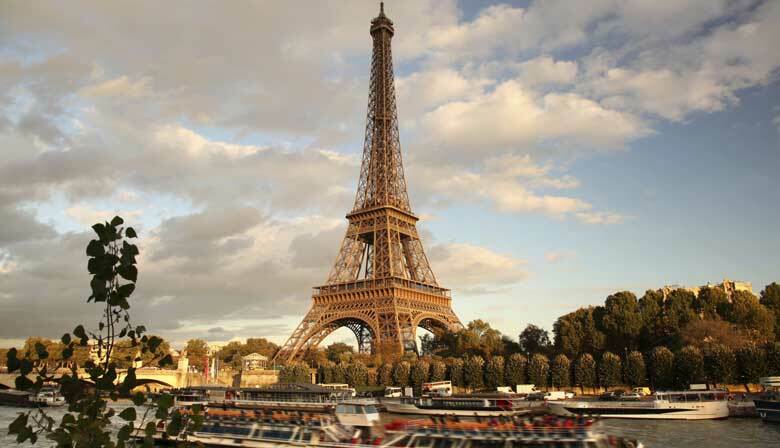 You will view all of the charm of Paris during this one hour boat cruise on the Seine, where you will be shown the capital from a special perspective. The cruise on the Seine was great but the meal was below average, the worst I had in Paris unfortunately. Very happy with the dinner cruise, the staff were friendy and efficient and the food was excellent. The service was a little rushed but, as we had to get through 3 courses in 90 minutes or so, this was not really a problem, nor unexpected. The views were wonderful, particularly the combined view of Liberty and the Eiffel tower.